Developed and released by Mike Little and Matt Mullenweg during 2003, WordPress is one of the most popular, open-source and free Content Management Systems that is based on MySQL and PHP. The popularity of this blogging software can be estimated by its use on the Web that includes more than 60 million websites till January 2015. With increasing popularity, more and more people want to utilize the power of Wordpress to build professional websites with ease. 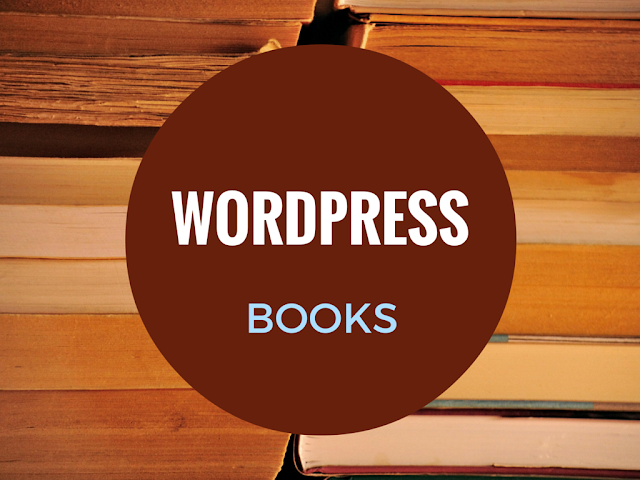 Here’s a list of some of the best books to learn about Wordpress. Building a website using Wordpress have become very easy with the availability of this book for beginners in the business. This book offers eight easy lessons that enable you to start and maintain your website without any prior knowledge of HTML. With the next 12 lessons, you can customize your unique web presence. This book is specifically targeted towards advanced developers, who can use in-depth knowledge of the full functionality of the most popular CMS. For that, this edition offers extensive information with updated examples and illustrations of the innovative features. You can also get information about real projects that use this software as an application framework, from the developer’s viewpoint. Learning how to develop a website in Wordpress has become very easy as this book provides a step-by-step process for developing any website such as choosing a great domain name and best reliable web hosting. This book also offers information how to install Wordpress with a few mouse clicks, publish pages and post in correct formats. Learn various other aspects that are important such as securing a website and customization of content in Wordpress. Create your own Wordpress website even if you are a beginner; this book offers step-by-step information with attractive visual demonstrations. Once a domain of computer geeks, now anyone can build and maintain a professional and attractive website, whether individuals, organizations or community. Every chapter is devoted to one topic and the author offers exercise at the end of each chapter. Would you like to learn how to create any website in WordPress in one week or less? Then this is the best book for you. The author offers comprehensive information regarding Worpress without writing a single HTML code; information ranges from installation of WordPress, mastering WordPress admin area to customizing of themes. The main purpose to write this book is to enable anyone with an internet connection to build a professional website. For that purpose, the writer has offered visual step-by-step process in order to build blogs as well as websites. You can learn the basic setup to advanced mobile features. Some of these features include customization of personalized editing, themes, and plug-ins, as well as purchase of the best domain and web hosting services. Want to learn WordPress in a day while having fun? If yes, this is the best book for you. This is a step-by-step guide that teaches you to master the software in a day and create your website even without any technical knowhow. With this book, you can learn installation of plugins and paid themes, content creation, choosing options on the screen, creation of a page and so on. Being a beginner should not stop you from the creation of a content rich and beautiful website, especially with this fantastic book that offers information about creating visually rich websites online. The book offers you an in-depth knowledge that ranges from basics such as the registration of the domain to the use of images and graphics in webpages. Create and own a professional website without writing a line of computer code. Whether, you want to create an affiliate site, an e-commerce site, a business site or a personal blog, this versatile book offers extensive information with which you can get success in your chosen endeavor. This book also enables you to optimize your site with required plug-ins. Learning WordPress has never been so easy. This book offers thorough knowledge of various features such as installation, choosing a host, designing websites and the creation and publication of posts. The book also offers SEO strategies like reaching your target audience with Wordpress and retaining their attention. Since its founding, the popularity of Wordpress is on the rise. The main reason behind it is that this online CMS enables the user to create and maintain professional websites without programming knowledge about website languages such as HTML or CSS. The above 10 books are best options for learning the basics and advanced techniques in Wordpress, allowing you to create and maintain SEO friendly websites, quickly and efficiently.